John McPhee’s “Draft No. 4” & my penance for misusing a word. But a writer had better take words. And fair command of them. I’ll never forget the day in high school when my English teacher accused me of plagiarism because of a word. I was 16 or 17 and had shown off by using “belies” in an essay. Since I was disrespectful to him, and acted like a simpering idiot in his class, he had good reason to suspect and dislike me. True to form, I laughed in his face. But that was long before the internet, which has made plagiarism—and catching it—easy. So he couldn’t do much except glare. Late in the years of working on my book, one day I noticed that I’d begun counting syllables. I’d pick the word, all else being equal, that had fewer. How this happened, I don’t know. It wasn’t as if I had just read an essay advising it. More like years of reading and writing had finally sunk in. In the first draft of my book, there had been plenty of fat words—“moreovers,” “neverthelesses,” and “howevers.” The latter isn’t disgusting but it’s not very colloquial, so there are only a couple left and many buts. 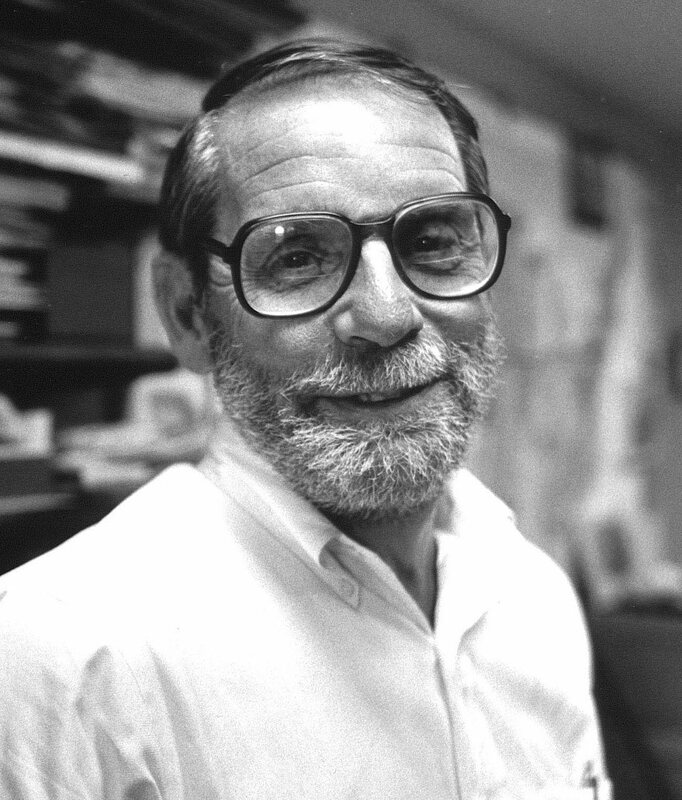 Recently I revisited John McPhee’s fine essay about diction, “Draft No. 4,” in the New Yorker. As I wrote here previously, one Thursday night in April of 2013, I told my wife about my notion of calling my blog The Fourth Draft. At that point I was well into my fifth year of blogging, and was tired of its name, Narrative. Also, my book’s fourth draft was its transforming draft. The only thing was, The Fourth Draft sounded like a minor-league baseball team or a microbrewery. Then Friday morning, I sat down with my oatmeal and opened my new New Yorker to John McPhee’s “Draft No. 4.” So that’s what I renamed my blog. There was more poetry in his arrangement, plus it sounded like a small-batch bourbon. That was his essay’s legacy to me—I merely noted his practice, in his final draft, of drawing boxes around distinctive adjectives, nouns, and verbs. Then he goes through the dictionary, and then the thesaurus, confirming and checking options. In the tradition, he’s kind of weird about the thesaurus, though. I wish I’d had the sense to adopt his word-boxing practice then. Probably there was time to do it for my book’s final draft—at least the book was a full year from publication then. My thesaurus work had involved mostly newer work in the book. I was hit or miss on words that I had written so many years before that they were almost invisible to me. Which of course is an implicit point of McPhee’s boxes. After Shepherd: A Memoir came out, a reader named Sarah Buchanan mentioned in a nice review for Goodreads that I had misused a word. Though she didn’t name the word, I knew instantly which one it was. So I must’ve known at some level that I had misused it! This is the most mortifying experience I have had as an author, which is saying something, given my babbling at one book event. Using the wrong word feels more undermining to my authority as an author than any other error I can think of. Even grammatical errors seem less damning because they can be chalked up to haste. Authors are in the larger sense poets, and what poet uses the wrong word? They don’t because they’re talented but also because they look up words. It’s part of a writer’s craft, which sets professionals apart from duffers. I can barely stand to think about my error. Humiliating. Totally. But amazingly, a few weeks ago I got the chance to fix it. What happened is that Barnes and Noble Booksellers placed an order for 266 copies. That brings the stock of the first printing low enough that, given anticipated reorders, my publisher is planning a reprint. And my editor has kindly let me correct my text for the new run. Now you probably think it’s time for me to reveal the word. You have got to be kidding. As we used to say as kids, Wild horses couldn’t drag it out of me. 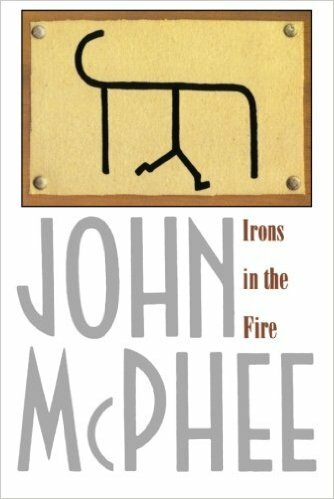 Speaking of John McPhee, you can read or download his essay about geological crime forensics, “The Gravel Page,” collected in his 1998 book Irons in the Fire. The New Yorker, where the essay first appeared, makes it available only to subscribers, but someone from North Dakota State University has uploaded a copy from the book, which of course we all should buy. Richard, first off, congratulations. As you know, most authors don’t sell more than one edition of a book. And an order for 266 copies at this stage of the game is fabulous. I think finding a wrong word will be a great challenge for your readers. And a very creative way to get them to read as carefully as you write. You are kind, Shirley. My error sure makes me judge other authors less harshly! Hi, Richard! Though my sixth grade teacher didn’t accuse me of plagiarism, he did question whether or not I really knew the meaning of a certain word, since (supposedly) he himself had never heard of it before. It was “lackadaisical.” And I too later suffered an accusation of plagiarism (though not until college) because I imitated too closely the style and mannerisms of a beloved teacher whom my own teacher also knew. The substance, if she had looked more closely, was puerile by comparison with his, but i guess she was pressed for time in grading and just noticed the “outside” of things. As for where I picked up words, in Civics class in the ninth grade, a friend and I sat near the back next to the shelves where the dictionaries were. We were both bright young sparks who finished our work in class early, and when we did, we surreptitiously dragged out the dictionaries and wrote notes, battles of new words back and forth. We also made up a few to see if the other person could tell that the word was made up. It was great fun. Kids these days have it easy with Internet vocabulary options (though not all of them are trustable authorities). But at least there’s something like the Urban Dictionary to amuse yourself with! At the back of the room cutting up with dictionaries—what a great image, Victoria. There’s a 20-page essay right here . . . Very interesting post. I do think the admonition that writers- especially those who are shaping a literary work and not just a functional workaday report on, say, pork belly futures- should steer clear of the thesaurus is well-founded. Your mind, working hard and mysteriously to find the best word, can think creatively in ways it quite can’t when presented with a list of prefab solutions. You can end up snatching a good word, but not an inspired one. Maybe, though, the admonition is best aimed at the very inexperienced writer who sees ole’ Roget as an oracle. You make a good point, Stuart. In my case, as I have documented here, alas, I need to check words, if not in the thesaurus then in the dictionary. Rarely do I have the wrong word, but maybe half the time I lack the best or perfect word. I once wrote an appeal to the English department to support our literary magazine and the “dearth” of talent in our program. One of the faculty members replied all to the letter pointing out my mistake. I’m pretty sure I meant “girth.” Or depth. Or breadth. Anything except dearth. Head: wall. Here’s to fatal grammatical errors! How funny, Sarah. But of course we are SUPPOSED to make those kinds of errors in college. Not when we are old, gray professionals. I tell you, I have been working on a very long essay and looking up practically every word! Just one of the benefits of marrying a woman who’s twice as smart as I am is having a walking and talking dictionary and thesaurus by my side to consult — and,yes, to point out misuses in social situations. Yep. My wife is a walking dictionary too. Unfortunate that she didn’t read that part of my book! Of course professional editors missed it too. There is so much to pay attention to in a book or even a long essay . . .
Sneaky way to get me to read Shepherd (yet again). Congratulations on the reprint! Every writer should purchase a copy of Clean, Well-Lighted Sentences, by Janis Bell. It is a handy reference to keep on your desk, and amusing enough to keep on your nightstand for some gentle humor before falling asleep.